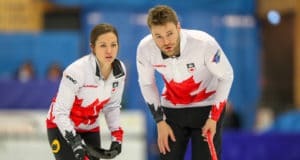 Team Canada’s Laura Crocker and Kirk Muyres are through to the semifinals of the 2018 World Mixed Doubles Curling Championship after winning both their qualification games on Friday in Ôstersund, Sweden. 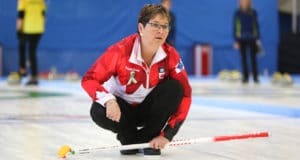 Laura Crocker and Kirk Muyres will finish the round robin in second place in Group E after dropping an 8-5 decision to South Korea at the 2018 World Mixed Doubles Curling Championship in Östersund, Sweden, on Thursday morning. 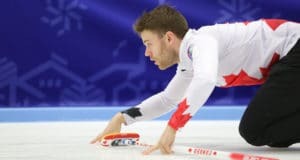 Canada’s Laura Crocker and Kirk Muyres won their sixth straight game of the round robin to secure their spot on the playoffs at the 2018 World Mixed Doubles Curling Championship on Wednesday morning in Östersund, Sweden. 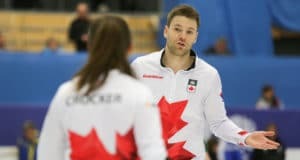 Team Canada’s Laura Crocker and Kirk Muyres won the battle of Group E undefeated teams on Tuesday evening, taking a 9-3 decision over Czech Republic’s Zuzana Hajkova and Tomas Paul and securing a spot in the playoff round at the 2018 World Mixed Doubles Curling Championships in Östersund, Sweden. 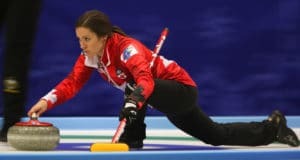 Laura Crocker and Kirk Muyres cruised to a 9-3 win over Guyana – their fourth straight win – to stay undefeated at the 2018 World Mixed Doubles Curling Championship in Östersund, Sweden, on Monday morning. 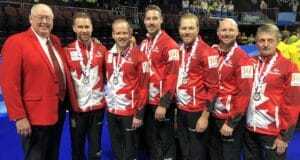 Team Canada’s Laura Crocker and Kirk Muyres battled through a couple of tough games on Sunday to remain undefeated at the 2018 World Mixed Doubles Curling Championship in Östersund, Sweden. 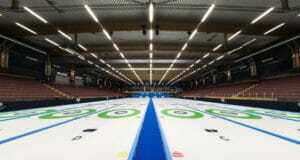 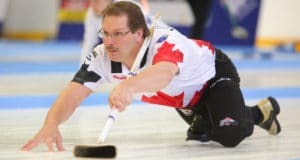 Canada’s Laura Crocker and Kirk Muyres kicked off the 2018 World Mixed Doubles Curling Championship with a comfortable 12-0 win over Ireland in Östersund, Sweden, this morning.